Forget those frumpy crochet patterns of old, and let twin fashion designers Erika & Monika Simmons help you sass up your stitching. Thanks to Erika and Monika the crochet world will never be the same. Awesome. Win the Book! Listen to my chat with Monika, then post a comment below to enter the random drawing for a copy of “DoubleStitch.” The deadline to enter is November in Nov. 29. A special thanks to episode sponsor Michele Young of Extremely Crafty, an online e-zine and blog. 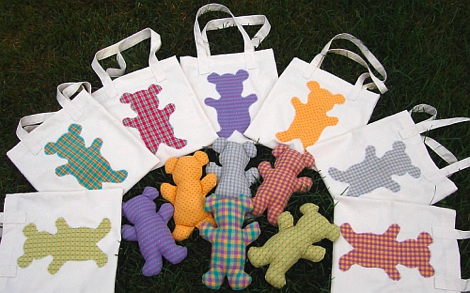 Sign up for the Extremely Crafty club at www.extremelycrafty.co.uk and receive free instructions to make a teddy bear toy and bag. Become a member and receive free special members only cool stuff.